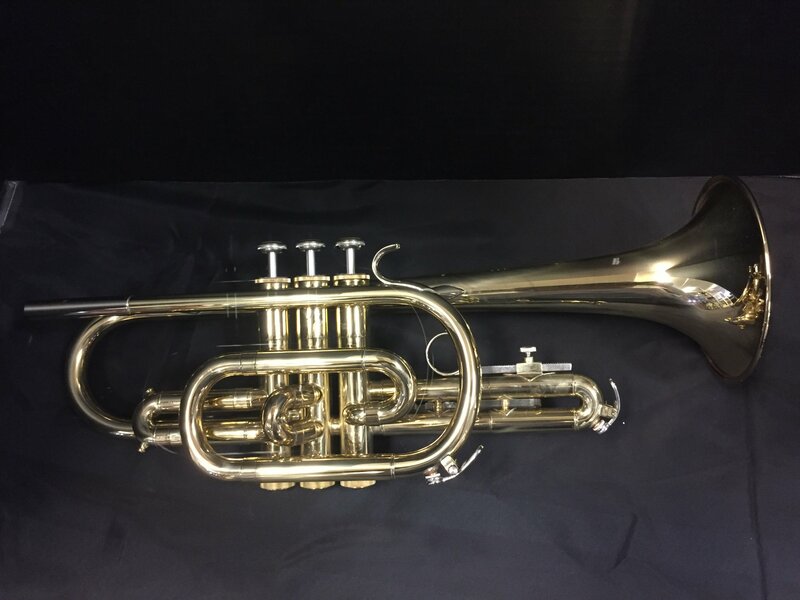 Made in USA Bundy Cornet in Yellow Brass Lacquer Finish. Comes with Molded Hardshell Case and Mouthpiece. Do Not Confuse This Instrument with the Cheap Chinese Instruments Being Rented and Sold by a Major Chain.